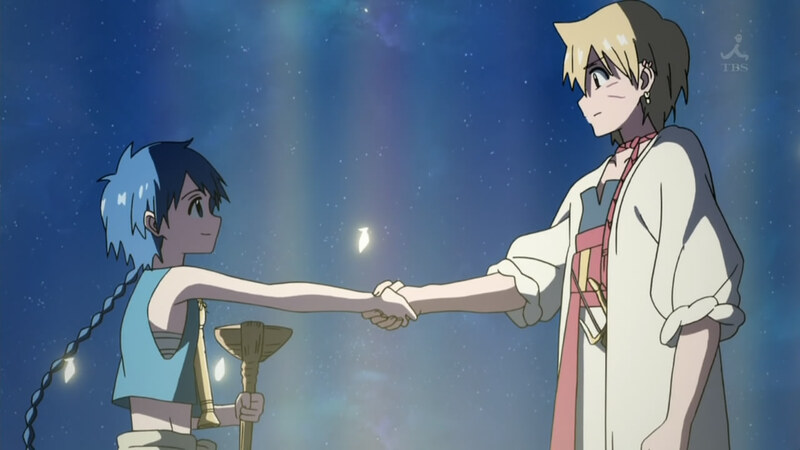 One of the most fundamental and essential concepts present throughout all of Magi is the romance of adventure. The romance of adventure is not an idea that unifies the romance between two characters with the genre of adventure (although one could argue that a powerful bond existed between Aladdin and Alibaba), but one that quantifies the stylization and presentation of adventure that is largely romantic and idealistic. 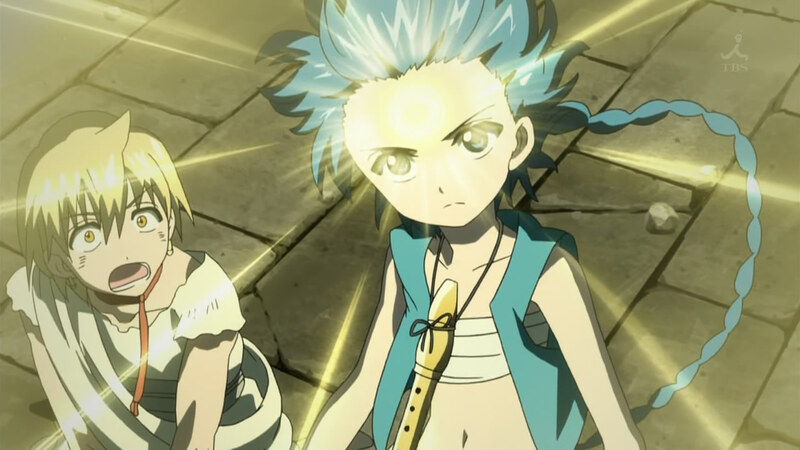 Whether it was questing through treacherous dungeons, relying on the help of mystic, majestic djinns and their phantasmal magic, fending off monsters and assassins alike or hunting for treasures of unimaginable wealth, the image and feeling of adventure in Magi was portrayed as glamorous, glorious, rewarding and extremely passionate. Magi wanted to show these elements of adventures through this distinctive perspective which then helped enthuse and entertain the audience. 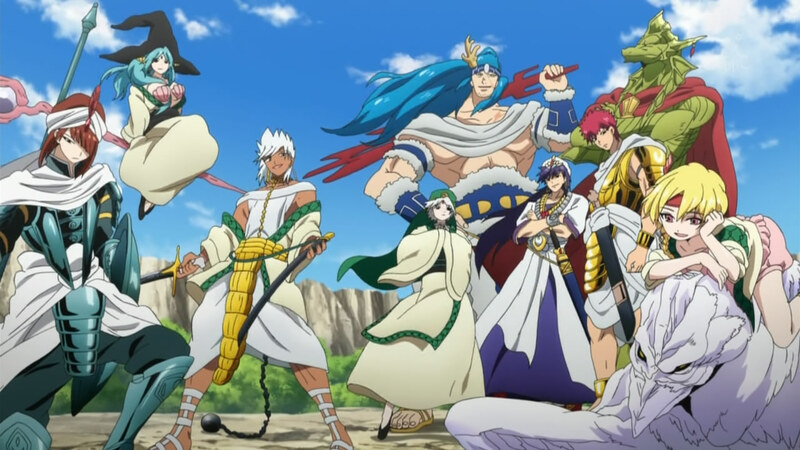 As you can imagine, this concept had a significant and permanent impression in Magi. First impressions mean quite a lot. Whether we want to or not, first impressions establish a baseline for which to understand a person and for which we can compare and contrast against others. 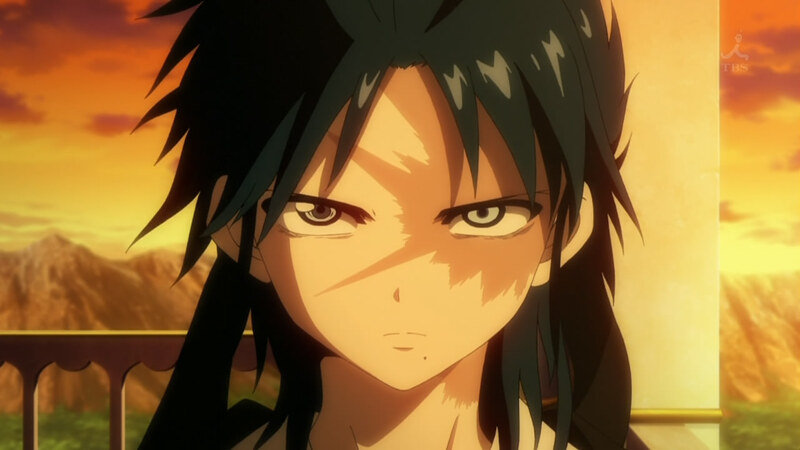 Regrettably, for poor Hakuryuu Ren, his introduction was overshadowed by a silly, pointless controversy that effectively removed him from just about the entire episode making his first impression woefully underwhelming. But, just like all relationships, the first impression is merely a starting point and the rest of the anime will show Hakuryuu go from there. 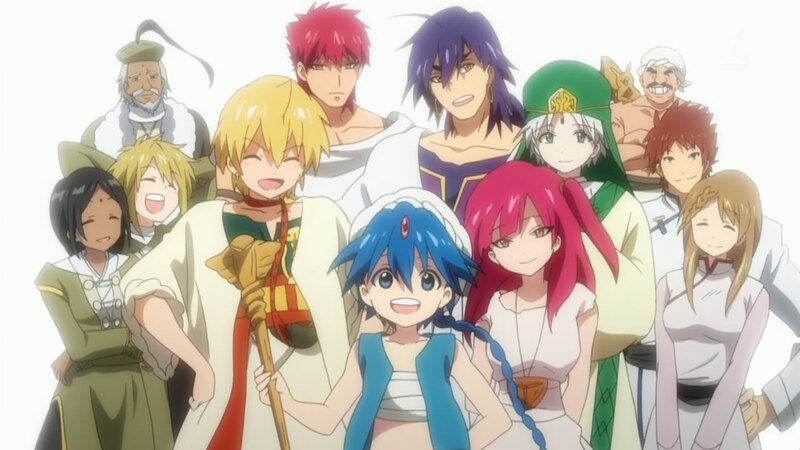 The story of Magi adheres to the style of individual and separate arcs to tell its tale. How exactly does this method of storytelling impact these various stories and the overall flow of Magi? Considering how integral and fundamental magoi, djinn, or any magical concept is to the storyline and characters of Magi, one has to wonder how long magic has existed in these societies or even in this world. The flow of fate is a fascinating concept, a theory which dictates the existence of a predestined ‘proper’ direction for the world to follow. As we’ve learned from Ugo, there are those who fight to maintain this path and work to keep the world in the vision of Solomon’s wisdom. Others, however, are opposed to this path and fight against it, laboring against this flow of fate to improve their power and their lives at the expense of Solomon’s plan. Because of this dichotomy, the conflicting sides fighting to improve their own personal goals, one has to wonder if there is a ‘right’ and a ‘wrong’ side to Magi or if the two are blurred and ambiguous with each sharing some positives and negatives alike. Within the Balbadd story arc, a specific hierarchy has been successfully established. No, no, this isn’t about the monarchy, class structure, or social order in Magi but instead about how the fighters and fighting is ordered into certain tiers based on the various acquired powers and intrinsic abilities present. 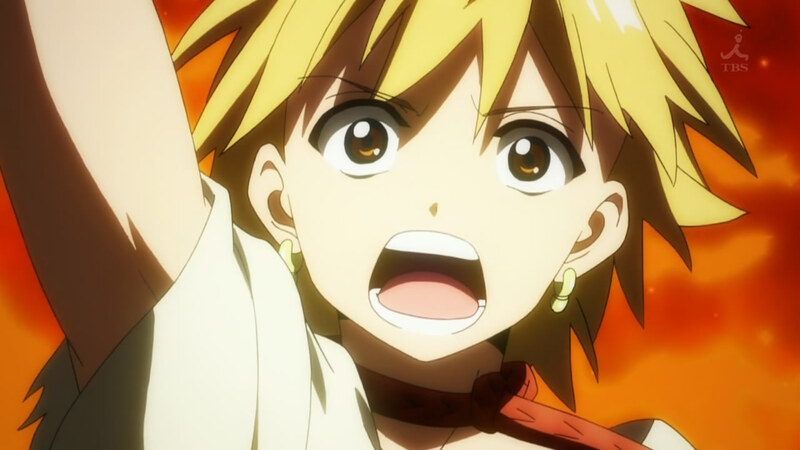 With Alibaba now controlling and utilizing the flames of Amon, we’re able to better understand how powerful the magoi and djinn are and comprehend the difference in fighting capacity between these characters. Remorse is an effective and influential theme in character development, one that can override preexisting ambitions and stunt aspirations, driving a character to immediately amend whatever wrongs they feel obligated to correct. 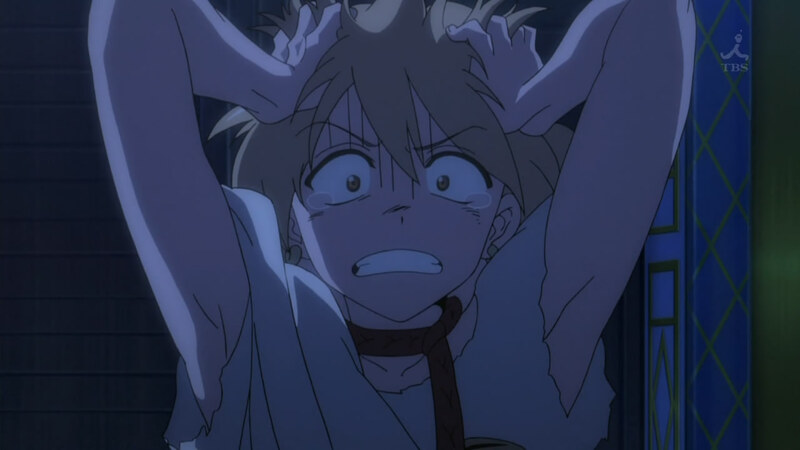 For Alibaba, the remorse that he feels when eyeing the fallen kingdom of Balbadd is truly powerful, especially after his brother, Kassim, manipulated it as a means to control Alibaba as leader of the Fog Troupe.